This full day tour takes in the main attractions of Tenerife and is an excellent introduction to the island of eternal spring. 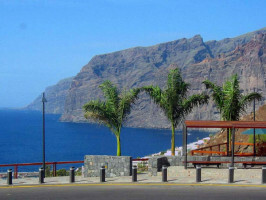 From the comfort of a luxury air-conditioned sightseeing bus we'll explore secluded villages where time seems to have stood still, discover a magical dragon tree and and marvel at the famous cliffs of Los Gigantes. 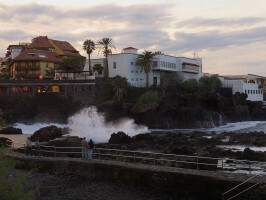 There'll be also time for some shopping at the sophisticated resort of Puerto de la Cruz. After leaving Playa de las Americas we'll head straight for the impressive cliffs of Los Gigantes. Sheer rock walls plunge 600m into the Atlantic making for a dramatic sight. 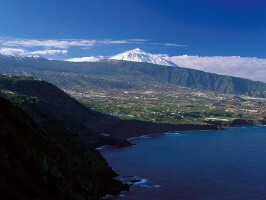 Next we'll pass through Santiago del Teide, as we climb to the summit of Erjos with its breathtaking views up to the Teide volcano and down over the whole island. We'll descend to the isolated settlement of El Tanque for unforgettable views over the unspoilt coastline of Garachico, once one of the most important ports on the island. Look out for the iconic Roque of Garachico, a small rocky island lying just offshore. Next stop is the pretty town of Icod de los Vinos, famous for its thousand year old dragon tree with its blood-red sap and supposed magical properties. 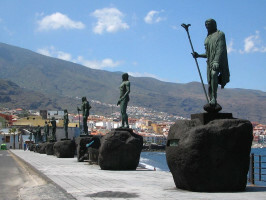 We'll continue to the nearby town of La Orotava with its quaint cobbled old town and excellent handicrafts market. Finally we'll drive down to Puerto de la Cruz, a sophisticated resort town where you will have time for shopping or for some lunch. Our final stop before returning to Playa de las Americas is the Basilica of Candelaria, a place of great spiritual and religious significance for the people of Tenerife. The French speaking tour will stop at Orquids Garden.